The breeze brought the aroma of these orange blossoms my way on a recent afternoon walk. The green of the tree, the oranges against the blue sky were to much to resist! I had to take a shot. 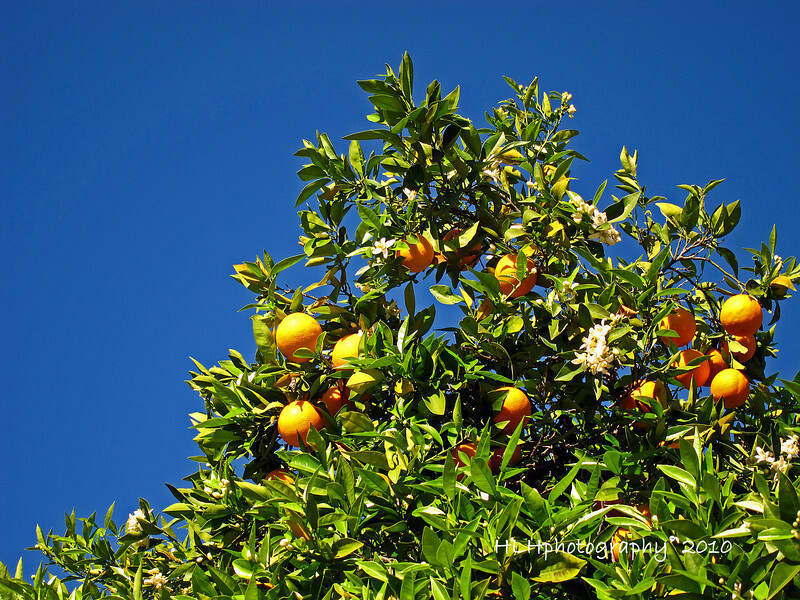 Love that blue sky...wish I had an orange tree!! Nice with all the fruit makes me want some. Great blue sky as a back drop. Love the sky and oranges. great contrast. Ditto Maryann, I can smell and taste the oranges. I feel as if I can almost smell the orange too. Beautiful colors! Glad you did...love the blue sky background. Love the light and color.